If you want a locals perspective of the best beaches on Maui and sweetest spots on the South Shore, then our La Perouse Cruise is for you. 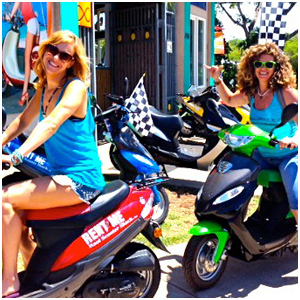 Come to Maui Scooter Shack for a super fun & friendly, guided scooter tour and experience the time of your life! 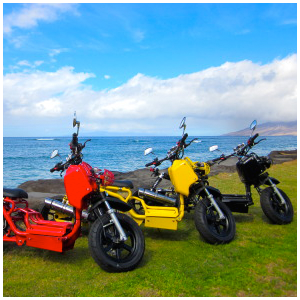 We will take you on a guided coastal tour of the South Shores of Maui all the way out to La Perouse Bay. Feel the tropical breeze as you stroll down the coast and learn interesting history and tips from the locals who live here. 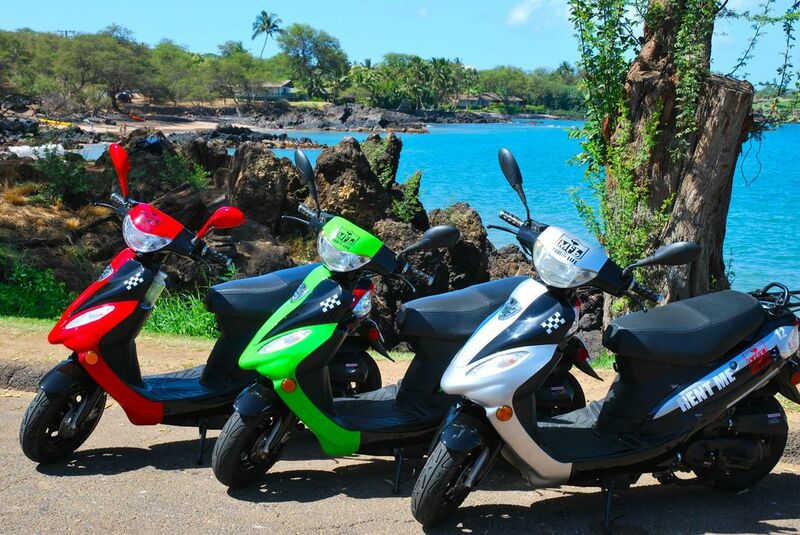 We show you our favorite beaches to visit on a scooter. Includes 24 hour scooter rental and a free Hawaiian Shave Ice. 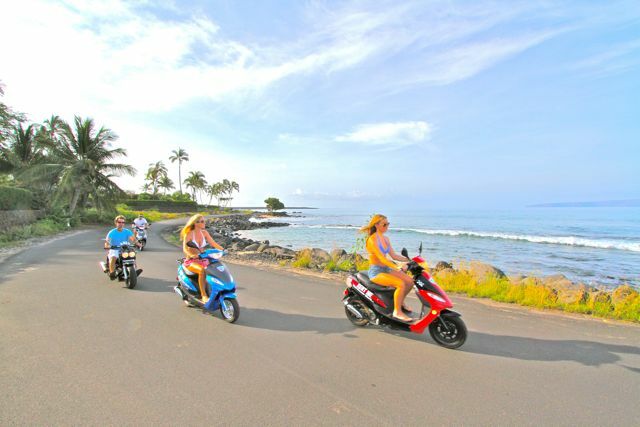 We begin at Maui Scooter Shack and head down the coast towards Wailea. Get tips on choice surf spots, best local food, and even the less known sweet spots. Learn the best places to snorkel and swim with sea turtles. Once we reach the Lava Fields at La Perouse Bay, you will be set free to explore the coast at your pace and enjoy the snorkeling and swimming that awaits you. You can enjoy the entire day on your scooter. We close at 6pm and you can return then, or keep your scooter until the same time the following day for no additional charge. Beach gear and snorkels will fit under your seat so you can push play right away. 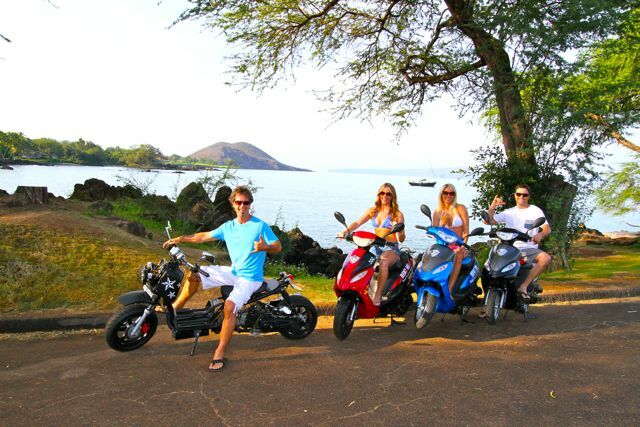 Rent scooters on Maui for an exiting group activity, a day you are sure to remember. Enjoy the best views of Kihei, Wailea and Makena beaches, some of the top beaches in the world. Feel the freedom as you are exploring the beautiful coast of Maui! Enjoy your scooter rental up to 24hours. Makes cruising around Maui so much more fun while getting to know the island. Let us offer you a guided tour of Maui you won’t forget! Scooter Rental : up to 24hrs. 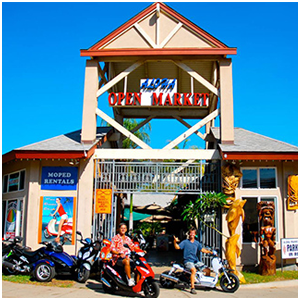 Tour Begins: Maui Scooter Shack – 1794 S. Kihei Rd. Locks, cables and helmets are included in every rental.